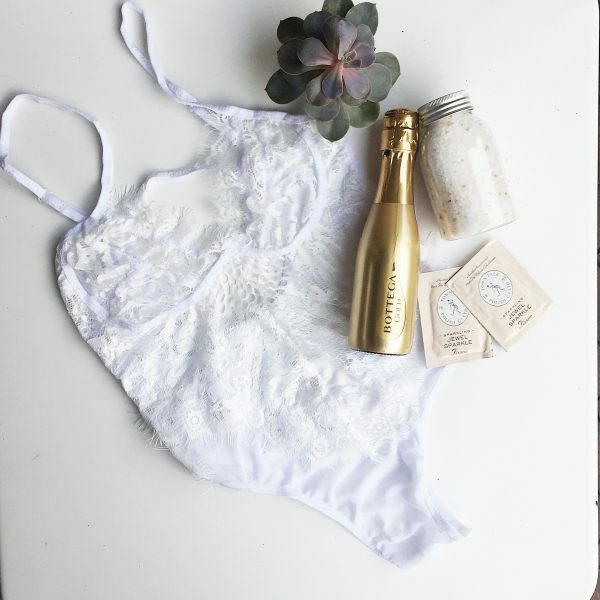 View cart “Bride to be – Gold Luxe” has been added to your cart. The Bride Gift Set is an absolute dream. The luxurious items have been put together to make the blushing bride feel extra special on her big day. It is perfect for the morning of the wedding, as an engagement gift, bridal shower gift and honeymoon gift. Luxury white robe with grey embroidery, made with breathable satin. It also features a lace detail on the sleeves and hem. (Please leave a message on the cart page for your desired size). Robes come in sizes; small, medium, large and XL. Hand poured gorgeous candle made with natural soy wax. This candle Jasmine & Ylang scented candle will surely help with relaxation. The modern Miss to Mrs designed candle is unique and fitting for the lovely lady. A special token for the bride. Make sure she gets ready in style with a personalised glass especially for her. Designed using our signature Ribbon and Bow font, a guaranteed gift to make her feel fabulous. Please note that these glasses have been made using vinyl and should be hand washed to maintain quality. A bottle of bubbly to add some sparkle to occasion. Please note that this item contains alcohol and is only suitable for those over the age of 18. 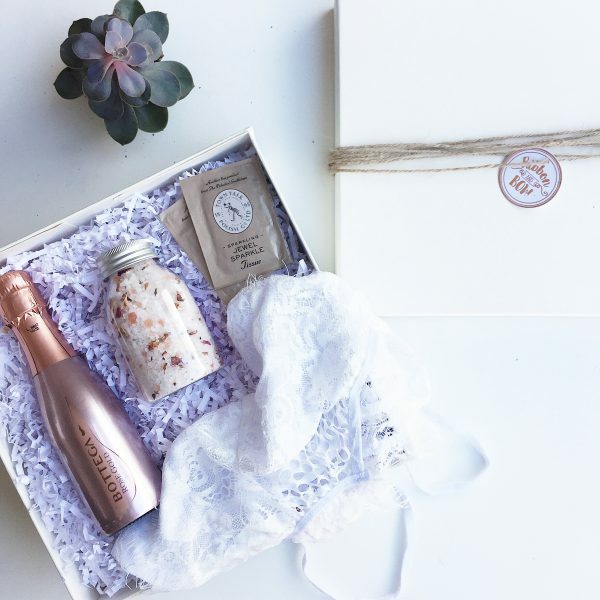 Items are beautifully presented in a signature keepsake box for the Bride to be. We aim to process all orders within 2 working days. Standard shipping takes between 3-5 working days. First class shipping takes between 2-3 working days. We use Royal Mail delivery service. If you need the item urgently please email us at ribbonandbowstore@gmail.com and we’ll see what we can do. Standard delivery is £3.99 flat rate or £9 for next day delivery. This applies to UK shipping addresses only.